A beautiful venue. The acoustics were amazing & the staff very friendly & helpful. The music was outstanding. Mark Lanegan & Duke Garwood were at their absolute best. Such a great evening which catered for all ages. What an amazing performance from what has to be the most unique voice in the business. Mark Lanegan's band were tight and the guitar work was exemplary. only one complaint is I would have liked to have heard it a touch louder. If he is touring near you, go see him. Also had the opportunity to meet him after the gig and now the proud owner of a hardback book signed by Mark himself, doesn't get better than this in my opnion, a great artist who has stayed true to himself and one to be cherished. "Rockin' and soulful performance, LOVED it"
I have been waiting to see Mark Lanegan for a long time and I wasn't disappointed. Definitely a highlight of my year. Mark delivered a strong and impassioned performance. Thankyou Mark I love you! Wow, just wow! Amazing gig! Another one off the bucket list! Mark somehow has a voice that is like he drank cheap whiskey but at the time as smooth as a liquid galaxy bar! Boy, the man can sing! I can't think of enough superlatives! Mark Lanegan has been a vital part of American alternative rock for over three decades. After rising to prominence with seminal grunge band Screaming Tree, Lanegan also began performing as a solo artist building on his cult status. He continues to write and record with the backing of his very own band. He has collaborated with Queens Of The Stone Age. 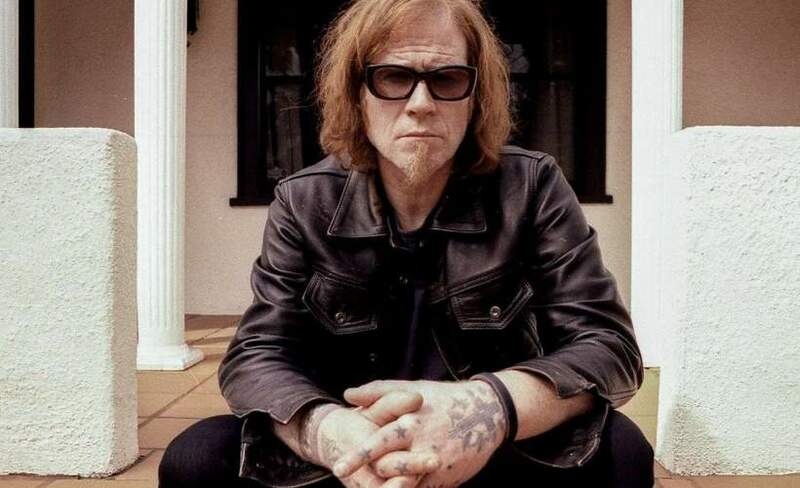 Mark Lanegan is joined by his band for exciting upcoming headline dates. See him perform at Bristol Trinity, Norwich Waterfront and Wulfrun Hall at Wolverhampton during November, and then O2 Academy Oxford, Engine Rooms at Southampton, Concorde 2 at Brighton and KOKO in London during December 2017. Everyone is after Mark Lanegan tickets so be sure to book yours before they are all gone. We only have limited supplies of Mark Lanegan concert tickets so book yours before they are all gone. Gigantic offers you great customer service on an amazing array of essential gig tickets so always make your booking with us when looking for your next big night out.